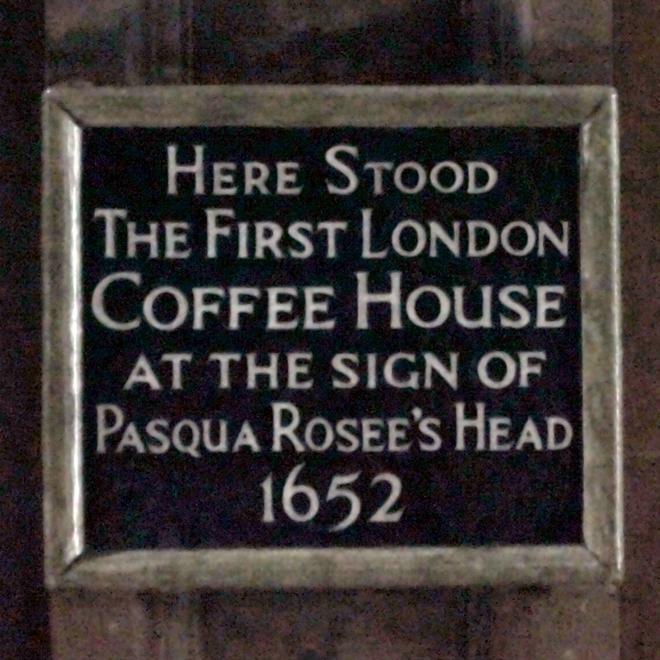 The first coffee house in London was established in St. Michael’s Alley, Cornhill in 1652 by Pasqua Roseé, a man believed to have been born into the Greek community living in Sicily during the early years of the seventeenth century. He had first prepared this exotic beverage while working as a servant in Smyrna. Before long he was selling six hundred bowls of coffee a day; inevitably, his success attracted a good deal of competition. 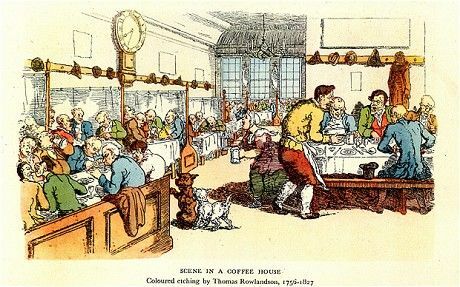 By the middle of the eighteenth century coffee houses had become an integral part of London life. In 1728, a visiting Prussian nobleman, Baron Charles Louis von Pöllnitz, struck by their popularity, described the daily practice of visiting a favourite coffee house as ‘a Sort of Rule with the English,’ and observed that patrons ‘talk of Business and News, read the Papers, and often look at one another’. 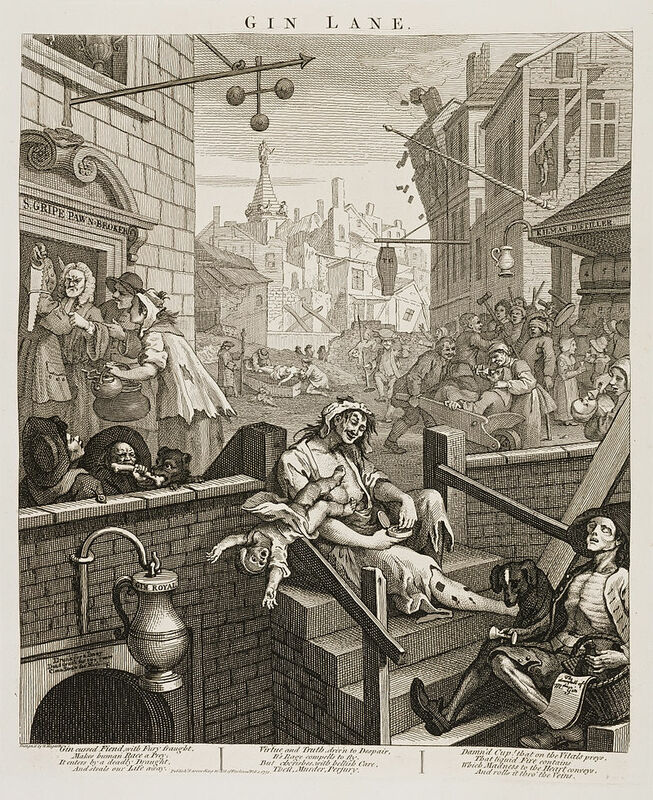 The rapid growth in the popularity of coffee in London was due in part to the decision to tout it as an antidote to cheap and potent gin, the widespread availability of which had allowed drunkenness to grip the city. and cheers the Spirits, without making Mad. Each coffee house reflected the character of its immediate neighbourhood, and offered exotic delights that included: Turkish coffee, sugar and cocoa from the West Indies, tobacco from Virginia, tea from China, and various chocolates and sherbets. One key attraction was the access such establishments facilitated to newspapers, scandal and the very latest in political gossip. Many coffee houses doubled as places of business, doctor’s consulting rooms and gambling houses in many instances, and several patrons spent so much time in their favourite coffee house that they had their post redirected there. One such customer was Richard Steele, editor of The Tatler, who received his post at the Grecian off Fleet Street where he sourced much of the news that appeared in the pages of The Tatler too. 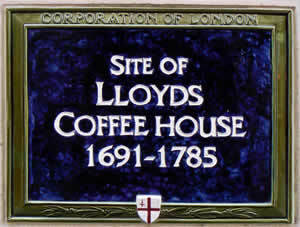 Several prominent coffee houses spawned new trades and occupations: Jonathan’s Coffee House in Change Alley operated as an embryonic stock exchange, displaying the prices of stocks and commodities on a board on the premises, while merchants, cartographers, ship-captains and stockbrokers developed the concept of insurance during long sessions at Edward Lloyd’s Coffeehouse on Lombard Street. The Grecian Coffeehouse was popular with members of the Royal Society and, as a result, became a centre of learning. On one memorable occasion, a gathering of scientists that included Isaac Newton and Edmund Halley dissected a dolphin on a handy table, having cleared the used coffee cups off it first one hopes. Violet Hunt, born in 1862 in Durham in the north of England,was the daughter of Pre-Raphaelite landscape painter Alfred William Hunt and his wife, Margaret Raine Hunt, bestselling novelist and translator of the stories of the Brothers Grimm. Her parents took her to live in London when she was just three-years old and she grew up in Pre-Raphaelite circles. Violet was bright, vivacious and very beautiful. At thirteen, she was writing poetry for Century Magazine. Ellen Terry described her as ‘out of Botticelli by Burne-Jones’. We will rule the world – you and I – you with your looks and I with my wits. Little wonder she thought herself ‘a little in love’ with him. she wrote; she was not quite as sweet as she looked. When Oscar returned from America with his hair freshly coiffed and curled, Violet decided he was, ‘not nearly so nice’ after all. Although she adored the company of men, and described her life as ‘a succession of affairs,’ Violet Hunt never married. She would ‘snub eligibles on principle’, preferring married men since ‘no one could imagine that I wanted to catch them’. She could be terrifying: ‘I rather liked her,’ D.H. Lawrence admitted, adding: ‘She’s such a real assassin’. Her many conquests included H.G. Wells, with whom she had an affair lasting a year when she was forty-four, and Somerset Maugham, but her most enduring love was for Ford Madox Ford; at thirty-six, he was eleven years her junior when they embarked on their lengthy affair. Violet’s once good opinion of Oscar may have been tainted by Ford’s dismissal of his writing as ‘derivative and of no importance’, although he did acknowledge ‘as a scholar he was worthy of the greatest respect’. Oscar had always encouraged Violet to write. In time, she enjoyed an enviable reputation as a novelist, biographer and hostess of a thriving literary salon. Among her guests were Rebecca West, Ezra Pound, Joseph Conrad, Wyndham Lewis, D.H. Lawrence, and Henry James. Her interest in furthering the cause of women is reflected in the themes of her novels, the first of which, The Maiden’s Progress, was published in 1894. She joined the Women Writers’ Suffrage League in 1908, the year she helped Ford establish the English Review. Although she never published her memoir My Oscar, she did fictionalise him as fickle suitor Philip Wynyard in her semi-autobiographical novel Their Lives (1916). When she died of pneumonia, aged seventy-nine, she left behind collections of poetry and short stories, seventeen novels, her memoirs of her time with Ford, a biography of Lizzie Siddal, six collaborations, two book translations, and numerous critical articles that were published in London newspapers and magazines. Unlike that of many of her literary conquests, none of her work remains in print, although some of it is available to read online. Truly, she is one of Wilde’s Women. Self portrait: Alice Pike Barney Renwick Gallery, Washington D.C.
One day in July 1882, Oscar Wilde took time out of his arduous lecturing schedule to go to the Long Island resort of Long Beach with one of his patrons Sam Ward. There he was introduced to Alice Pike Barney and her six-year-old daughter, Natalie. When Alice injured her foot in the water, Oscar, well over six feet tall and broad-shouldered, gallantly carried her up the beach and they got talking. Although hugely talented, Alice’s ambitions to study art were opposed by her boorish husband, Albert Clifford Barney, a hard-drinking man with a nasty habit of infidelity. Oscar encouraged her to ignore her husband and so she did. She took art lessons in Paris and studied under Carolus-Duran and James McNeill Whistler. Later, she was admitted to the Society of Washington Artists and had solo shows at major galleries including the Corcoran Gallery of Art. With newfound confidence, she also wrote and performed in several plays and an opera, and worked to promote the arts in Washington, D.C. Many of her paintings are in the collection of the Smithsonian American Art Museum. American actress Elizabeth Robins was determined to break into English theatre. When she met Oscar at a party in July 1888, he told her: ‘Your future on our stage is assured’. He introduced her to influential theatre directors and even helped her to secure an agent. She found it amusing that he encouraged her to emulate Lillie Langtry since she saw herself as an altogether more serious performer with ambitions to manage and direct too. A woman cannot be herself in contemporary society; it is an exclusively male society with laws drafted by men, and with counsel and judges who judge feminine conduct from the male point of view. Robins formulated a plan to introduce Ibsen to English audiences. She also hoped to end the stranglehold that male actor-managers had on English Theatre, a situation that resulted in women being undervalued as actors, writers and producers. When she struggled to attract subscribers to fund a series of twelve of Ibsen’s plays at the Opera Comique, Oscar stepped forward: ‘The English stage is in her debt,’ he declared, ‘I am one of her warmest admirers’. He funded her project and encouraged others to do so. Although audiences found the realism of Ibsen’s plays alarming, Oscar turned up several times and gave her productions his full attention. He assured her: ‘I count Ibsen fortunate in having so brilliant and subtle an artist to interpret him’. …he was then at the height of his powers and fame and I utterly unknown on this side of the Atlantic. I could do nothing for him; he could and did do everything in his power for me. When Edith Bland, who wrote as E. Nesbit, sent Oscar her poetry collection Lays and Legend in 1886, he responded with an encouraging letter. As editor of The Woman’s World, he reviewed her collection Leaves of Life and published three of her poems. In his review of Woman’s Voices, an anthology edited by Elizabeth Sharp, he described Nesbit as ‘a very pure and perfect artist’, and lauded her ambition to ‘give poetic form to humanitarian dreams, and socialist aspirations’. Nesbit, the main earner in her unconventional family, was obliged to all but give up writing poetry, her true passion, in favour of writing serialised children’s stories. Drawing on her own childhood fears and insecurities, she invented the children’s adventure story in which her protagonists faced genuine peril. Her best loved tales include the classics Five Children and It and The Railway Children. Nesbit changed children’s writing and influenced CS Lewis, JK Rowling and Jacqueline Wilson among many others. She is the subject of my next biography. On 12 September 1878, one of of three Ancient Egyptian obelisks, popularly known as ‘Cleopatra’s Needles’, was erected on Victoria Embankment in London. Presented to the United Kingdom in 1819 by the ruler of Egypt and Sudan Muhammad Ali, in commemoration of the victories of Lord Nelson at the Battle of the Nile and Sir Ralph Abercromby at the Battle of Alexandria in 1801, this obelisk had remained in situ in Alexandria until 1877. It was then that Sir William James Erasmus Wilson, a distinguished anatomist and dermatologist, sponsored its transportation to London at great expense. Almost four decades earlier, in April 1839, William Wilde, a Dublin-based surgeon and keen amateur Egyptologist and archeologist, who had travelled extensively throughout Egypt and beyond, wrote an article for the Dublin University Magazine in which he urged the British Government to transport one of these obelisks to London. It was lying in the sands, utterly neglected, and would, he suggested, make a fitting tribute to ‘the immortal Nelson’. In his book Narrative of a Voyage to Madeira, Teneriffe and Along the Shores of the Mediterranean, which can be read online, he records his first encounter with the needles. Below is his article from the Dublin University Magazine in full, containing a detailed description of the obelisks along with practical suggestions as to how to transport them. Since William died in April 1876, with his sons, Willie and Oscar, and his wife, Jane, at his bedside, he never saw his scheme come to fruition. 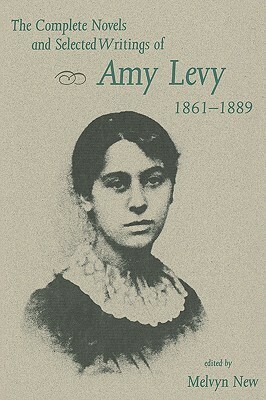 Amy Levy, born at Percy Place in Clapham, London on 10 November 1861, had a precocious talent. At 13, she won a junior prize for her criticism of Elizabeth Barrett Browning’s proto-feminist epic Aurora Leigh; her essay was published in the children’s periodical Kind Words. Months later, her first poem, ‘Ida Grey: A Story of Woman’s Sacrifice’, was published in the moderate feminist journal The Pelican. Aged 17, she became the second Jewish woman to attend Cambridge University and the first to be admitted to the prestigious Newnham College. The fact that she left in 1881 without taking her degree may be an early indication of her troubled mind and poor sense of self-worth. During her short career, Amy wrote political articles including her letter ‘Jewish Women and Women’s Rights,’ which revealed a liberal feminist ethos and was published in the Jewish Chronicle. She also completed three volumes of poetry, one published posthumously, and three exceptionally progressive novels, and she contributed pioneering journalism and brilliant short stories to several periodicals including Oscar Wilde’s Women’s World. The best article in the December 1887 issue, Wilde told poet Louise Chandler Moulton, is ‘a story, one page long, by Amy Levy’. Levy had sent her story unsolicited. Recognising ‘a touch of genius’ in it, Wilde described her writing as ‘as admirable as it is unique’ and commissioned a second story, two poems, a profile of the poet Christina Rossetti, and an article, ‘Women and Club Life’. Levy herself was a member of ‘A Men and Women’s Club’, a radical debating club founded by Karl Pearson, who was a socialist and mathematics professor. 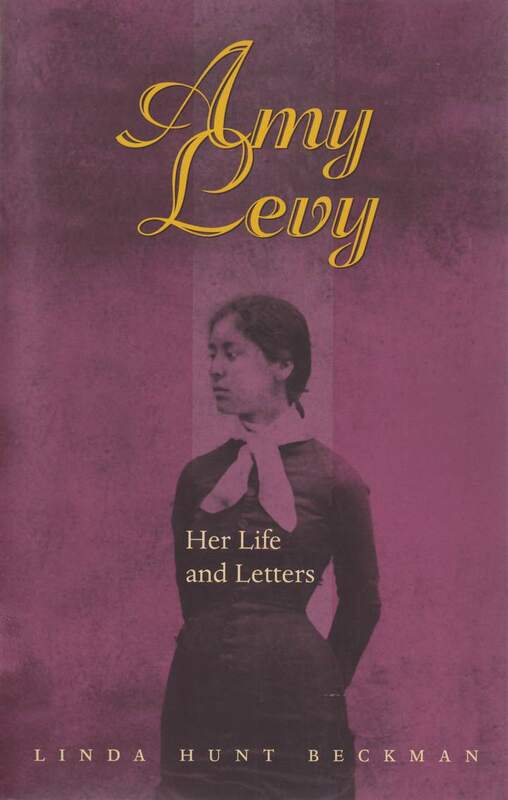 Although she had to all appearances, a successful and fulfilling life, Levy suffered from a desperately melancholic nature. She was hugely talented but desperately troubled and she experienced debilitating bouts of depression exacerbated by failing physical health that had blighted her life since childhood. She was partially deaf. Hailed as a pioneer of early lesbian writing, her own sexuality was never firmly established, although she did form an exceptionally close friendship with cross-gender writer Vernon Lee, born Violet Paget. On the night of Monday, September 9, 1889, two months short of her twenty-eighth birthday, Levy locked herself into a room at her parents’ house in Bloomsbury, blocked all possible sources of ventilation, and left a charcoal fire burning when she went to bed. She must have realised that the poisonous carbon monoxide fumes would be fatal, and she left instructions that she be cremated; she was the first Jewish woman in England to do so. Wilde was dreadfully upset to learn of the death of this brilliant woman: ‘the world must forgo the full fruition of her power,’ he lamented in a heartfelt obituary that he published in The Woman’s World. For more on Amy Levy, truly one of Wilde’s Women, read the very comprehensive timeline of her life on The Victorian Web here. Also, this article from Tablet Magazine here and her entry at the Jewish Women’s Archive here. One of the lesser-known women in Wilde’s Women, someone who admired Oscar hugely, is Adela Schuster, the extraordinarily generous daughter of a wealthy Frankfurt banker. She is thought to have met him late in 1892. In 1895, when Oscar was in dire straits, Adela opened her purse to him; the £1000 she gave him paid his mother’s rent and her burial expenses as well as funding the confinement of Willie Wilde’s wife Lily when she gave birth to Dolly Wilde. Adela also attempted to effect a reconciliation between Oscar and Constance by corresponding with mutual friends. “I do and always shall feel honoured by any friendship he may show me…Personally I have never known anything but good of O…and for years have received unfailing kindness and courtesy from him – kindness because he knew how I loved to hear him talk, and whenever he came he poured out for me his lordly tales & brilliant paradoxes without stint and without reserve. He gave me of his best, intellectually, and that was a kindness so great in a man so immeasurably my superior that I shall always be grateful for it”. Oscar instructed Robbie Ross to make two copies of the letter that would become de Profundis, and to send one copy to Adela Schuster and one to Frances (Frankie) Forbes-Robertson, since he believed ‘both these sweet women will be interested to know something of what is happening to my soul’. Ross also sent Adela a comprehensive account of Wilde’s final months on 23 December 1900, and dedicated The Duchess of Padua to her in his Collected Edition (1908) in order to fulfil Oscar’s desire to express his gratitude for her “infinite kindness”. His lovely dedication can be read here. Truly, Adela Schuster was one of Wilde’s Women.